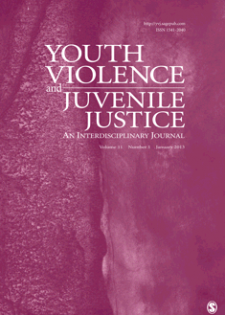 Youth Violence and Juvenile Justice: An Interdisciplinary Journal provides academics and practitioners in juvenile justice and related fields with a resource for publishing current empirical research, discussing theoretical issues, and reviewing promising interventions and programs in the areas of youth violence, juvenile justice, and school safety. The journal places a decided emphasis on applicability of the research and writing to the fields of juvenile justice and youth and school violence prevention. It particularly encourages the publication of program evaluations, policy analyses, empirical research, and practical, theoretical, legal, and qualitative analyses. Interdisciplinary in scope, Youth Violence and Juvenile Justice serves a diverse audience of academics and practitioners in the fields of criminal justice, education, psychology, social work, behavior analysis, sociology, law, counseling, public health, and all others with an interest in youth violence, juvenile justice, and school safety.